Ocala Ocala has long been famous as horse country because of all of the many horse ranches in the area. The presence of lime in the soil is one reason for its popularity with horse lovers. The population is about 54,000 people with many more in the surrounding area. Originally a citrus growing region, horses are a big local industry. Ocala has grown quite rapidly because it is different and a bit more relaxed than either of Florida's coasts. East Fort King Street has many excellent examples of Victorian Revival architecture. There are a number of Ocala structures on the National Register of Historic Places, including the Union Train Station. 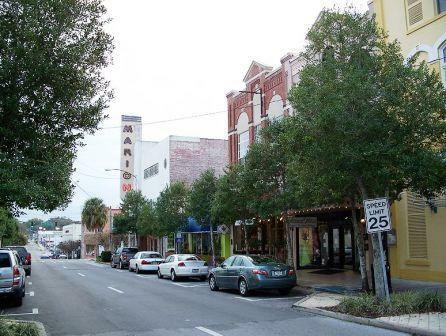 Photo of Ocala commercial district courtesy of Wikipedia and Ebyabe. For those who prefer living in a development, there is a growing number of active adult communities in the Ocala area because there is more inexpensive land in this region. Prices are more reasonable than in many other parts of Florida. The median price of a home was $162,000 in the 4th quarter of 2018, as reported by the NAR. Zillow.com reported the Home Value Index was $141,600, during the same period and called it a "Hot" market. 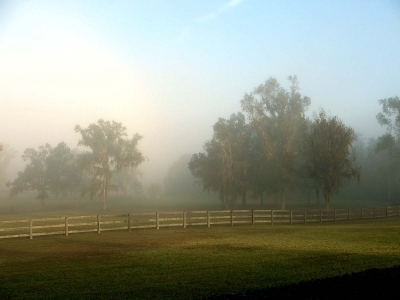 This is horse country - if you want to be near horses, you will be in heaven here in the "Horse Capital of the World"; Ocala is a bit more uncrowded than south Florida; Silver Springs Nature Theme Park; Many victorian homes and historic structures grace the Union Street area. The median home sells for just over half the cost of the typical U.S. home. Ocala is in Florida's interior - if you have to live on the coast, it is not for you. The crime rate is almost double the national average. There are 2 medical centers in Ocala - Munroe Regional and Ocala Regional. Interstate 75 runs through Ocala. Ocala International Airport offers commercial service. Amtrak has a station. Ocala is not considered a walkable town.